CHARLOTTETOWN, PE – The Guardian reports that Upstreet Craft Brewing is planning to open a second retail location in Charlottetown later this winter. 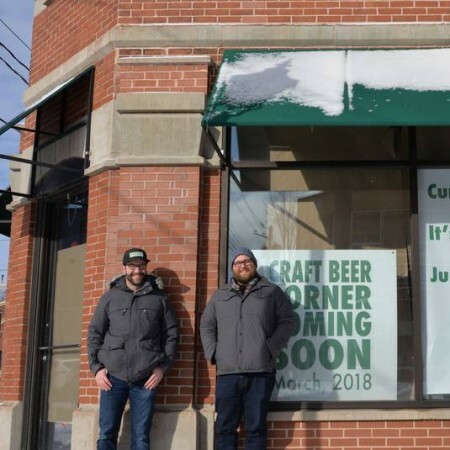 Co-owner Mitch Cobb tells the paper that the brewery has taken over a former Starbucks at the corner of Great George and Kent, and is currently renovating it to include a bottle shop, growler station, and a taproom that will feature 24 taps pouring beer from Upstreet and other PEI craft breweries. There will be no on-site brewery, with all production continuing to take place at the original Upstreet facility on Allen Street. Assuming all pending approvals from the PEI Liquor Control Commission come through in time, the new Upstreet store and taproom will be open in the first week of March. For more details, see the full Guardian article.